Big news in the world of numismatics — the U.S. Treasury Department has announced that Alexander Hamilton, long the solitary face on the $10 bill, will be joined by a woman. But who? His wife Eliza Schuyler? Harriet Tubman? Eleanor Roosevelt? And how will she featured? 1) Why is Hamilton, who was never a president, on money in the first place? He was America’s first treasury secretary, of course, from 1789 to 1795. But in many ways he’s also the inventor of American money! According to Ron Chernow, Hamilton encouraged the use of the dollar bill as the basic unit of currency and called for a series of coins broken into smaller values, a new concept in an age when bartering was the preferred method of transaction. To encourage the new American spirit, he recommended putting presidential faces on the money. Since there was only one president at that time, this meant the basic unit currency went to Hamilton’s good friend George Washington. 2) Hamilton was the first Secretary of the Treasury, but he was NOT the first Treasurer of the United States. That honor went to Michael Hillegas, a wealthy Philadelphian who led the treasury through the duration of the American Revolution. His face was actually on an early version of the $10 well before Hamilton’s. 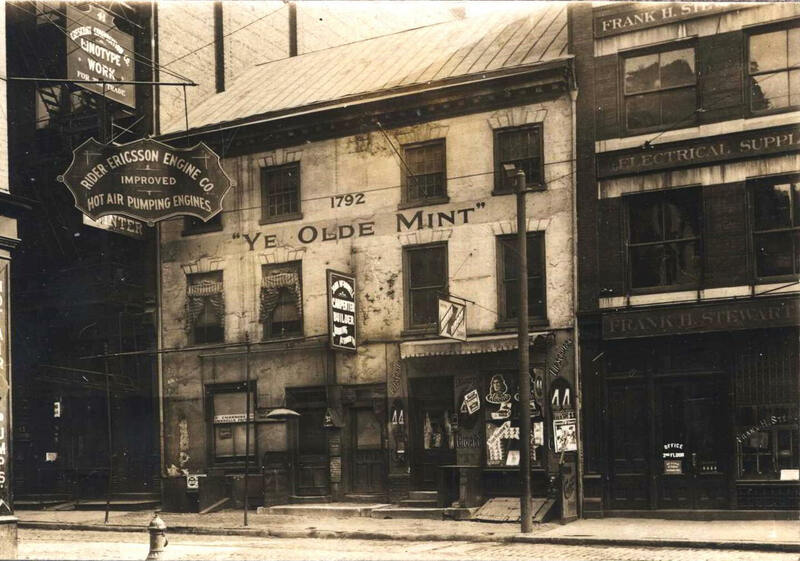 The first director of the U.S. Mint was David Rittenhouse, on which Philadelphia’s Rittenhouse Square is named. 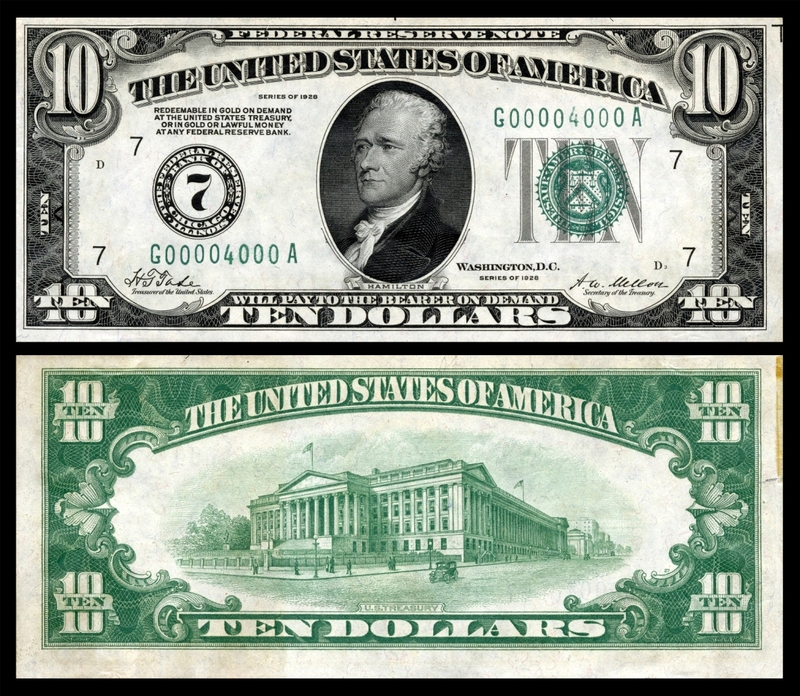 4) Hamilton is only one of only three non-Presidents to currently grace American paper money, the others being Benjamin Franklin ($100) and Salmon P. Chase ($10,000). But non-presidents have lived upon paper money since its invention. William Tecumseh Sherman, George Meade and Lewis and Clark have all been on U.S. printed currency. 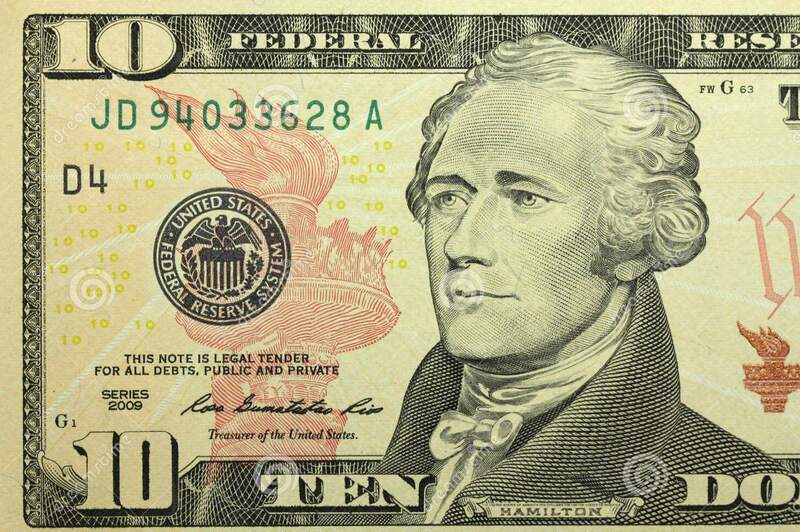 5) For decades, Alexander Hamilton was actually the face of the $1,000 bill. 6) The current image of Hamilton on the $10 bill is based upon a portrait by John Trumbull which currently hangs in New York City Hall. 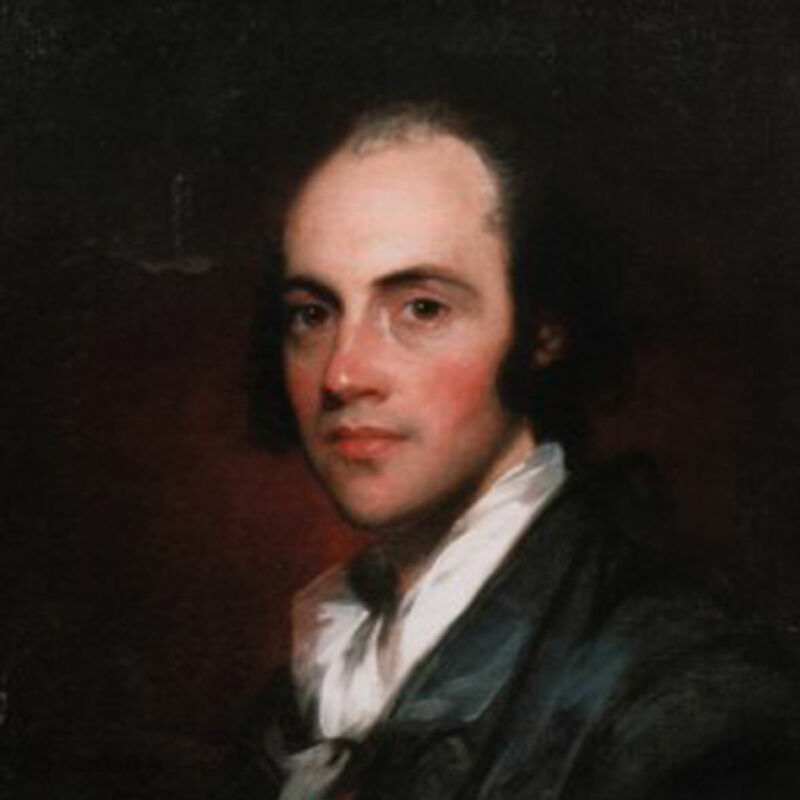 That painting was completed posthumously in 1805; Hamilton had been shot and killed in a duel with Aaron Burr the year before. 7) Alexander faces left where the other members of the Faces On Money Club are turned right. There is a rarely used $100,000 bill with Woodrow Wilson which faces a similar direction but I doubt you will ever see that in your lifetime. 10) There is already a woman on the $10 bill, or at least, part of her. On the redesigned 2006 bill, Hamilton breaks free of the oval which has traditionally confined the portrait. He is looking left towards the hand and torch of the Statue of Liberty. 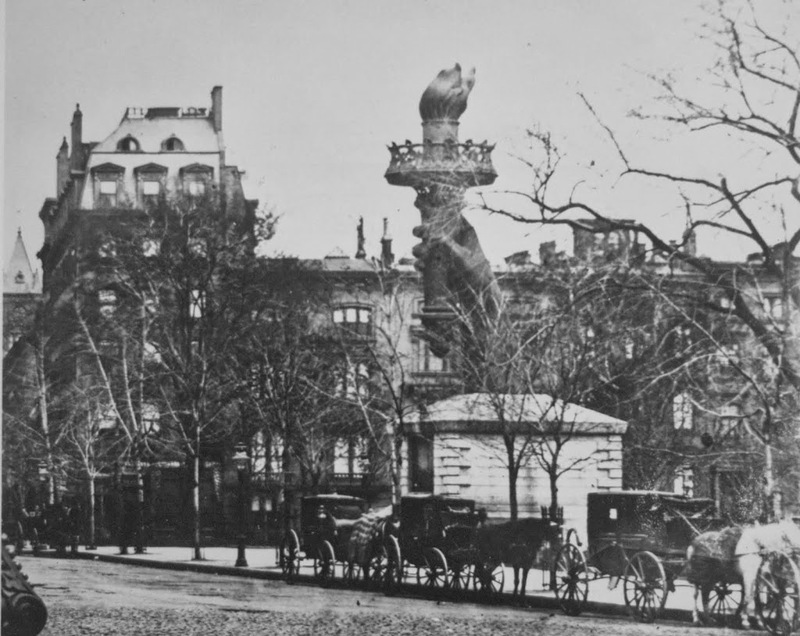 Lady Liberty’s torch once sat in Madison Square Park for several years as a way to drum up funds for the statue’s pedestal. 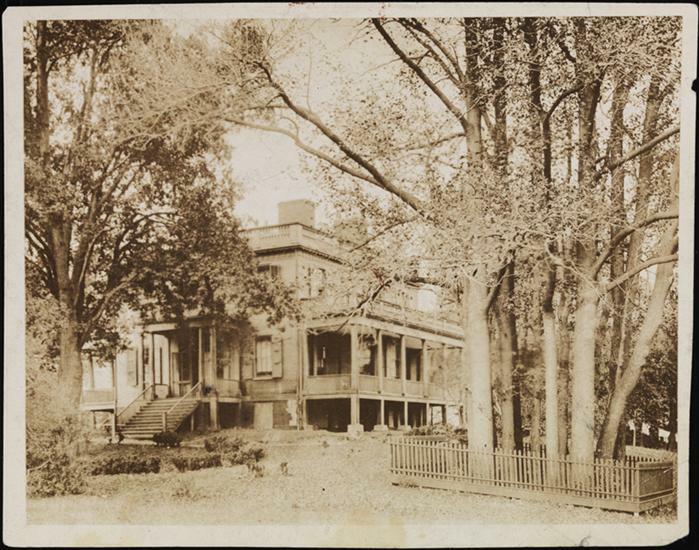 The park’s namesake, James Madison, wrote the Federalist Papers with Alexander Hamilton and John Jay. And a bonus fact — Aaron Burr has never been on the face of any currency.